If you share the legendary Anthony Bourdain’s zest for interesting food, Last Best Beach is a good destination. The place to start is at the enramadas of Barra de Potosi. A traditional way to prepare fresh fish there is “a la talla”, which involves trisecting it into three flaps, slathering it in a special secret sauce involving a Mexican spice achote and grilling it over a wood fire. Another specialty are “tiritas”, raw fish ceviched in fresh lime juice mixed with onion and chiles and served on crispy corn chips. 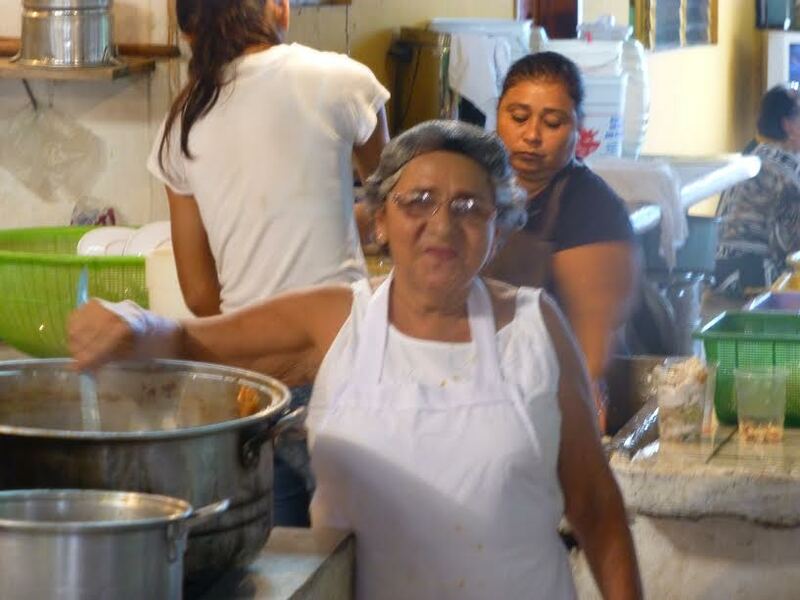 Pozole is a traditional and prized Guerrero dish and it is usually available only on Thursdays. 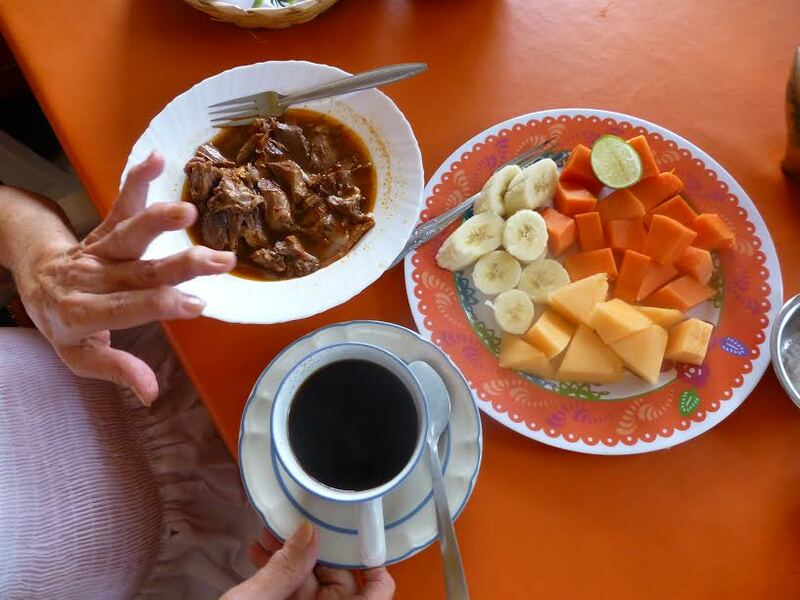 Many restaurants compete claiming the best version, but perhaps the most authentic place to sample it is El Profe in Coacoyule, a small town about 15 minutes inland from Playa Blanca. 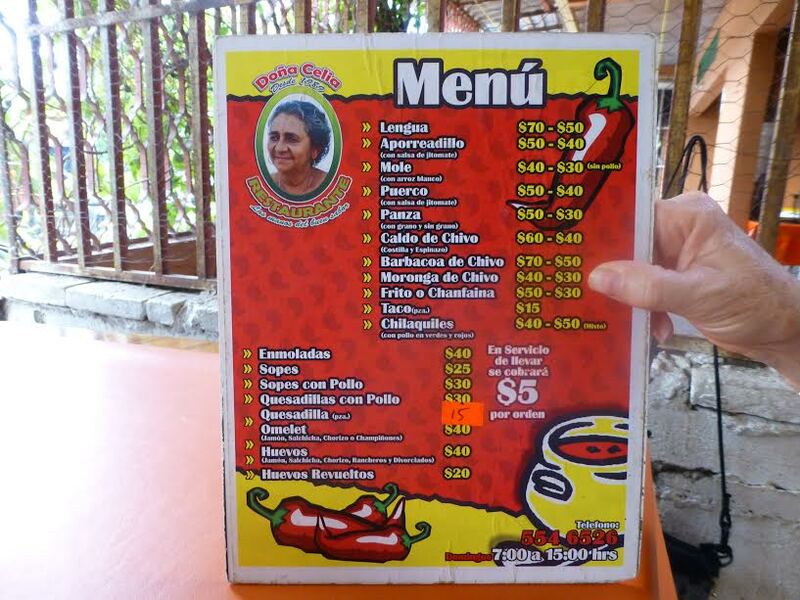 It only opens on Thursdays and delivers the real deal, along with artesanal mescal made locally and pickled pigs’ feet known as “mananitas”. On Sundays in Coacoyule, Dona Cecila opens for breakfast through mid-afternoon comida. The entire family cooks up a storm of authentic local dishes for a standing room only crowd. Goat to die for. If you are interested in venturing into the realm of more exotic dishes, again Coacoyule is one of the places to go. Just down the street from El Profe is Yosi’s Economico, open from roughly 8:30 AM to 4:30 PM, but closed on Thursday. 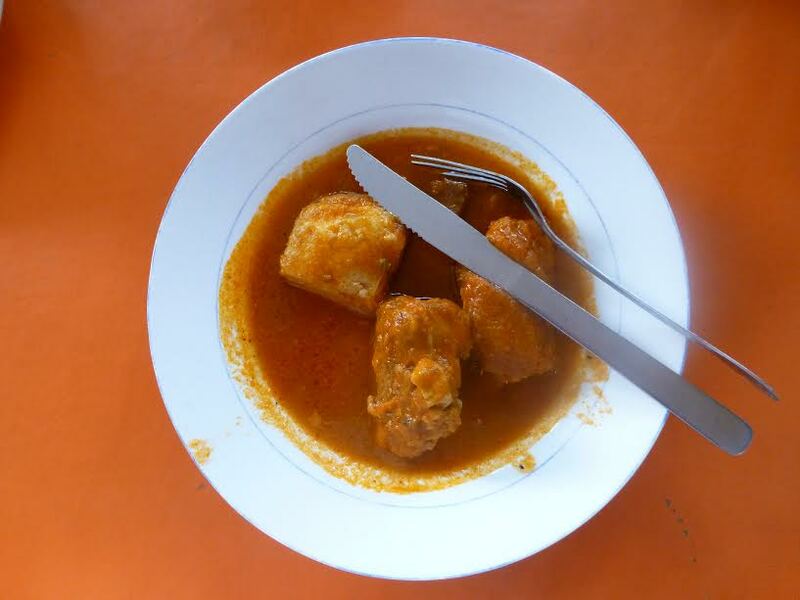 You can expect to find albondigas which is like a chicken soup with balls of chicken in it. For the more adventuresome, they usually offer goat blood soup and venison, pork or beef in a somewhat spicy but excellent green or red sauce. 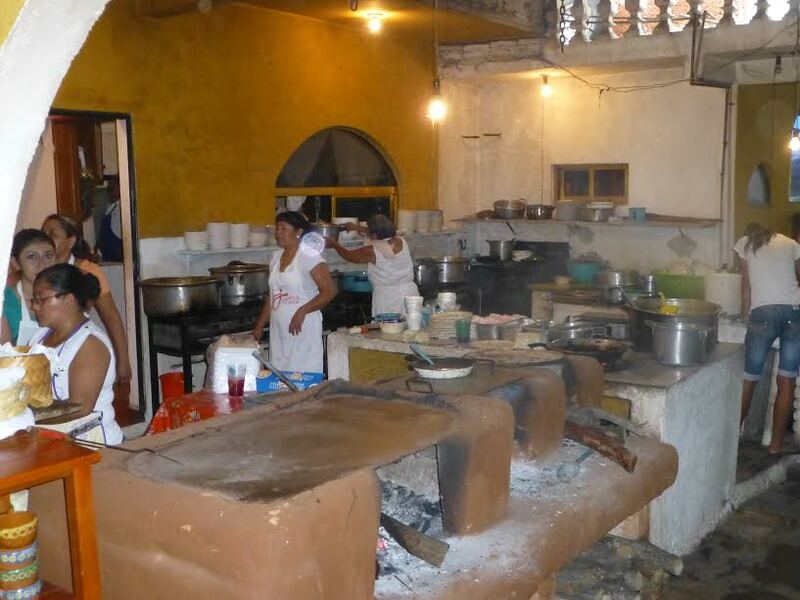 Beyond the standard tourist restaurants in Zihuatanejo, there are a number of authentic smaller mostly family-owned places to eat. Carmelita’s is very popular in the morning and early afternoon. 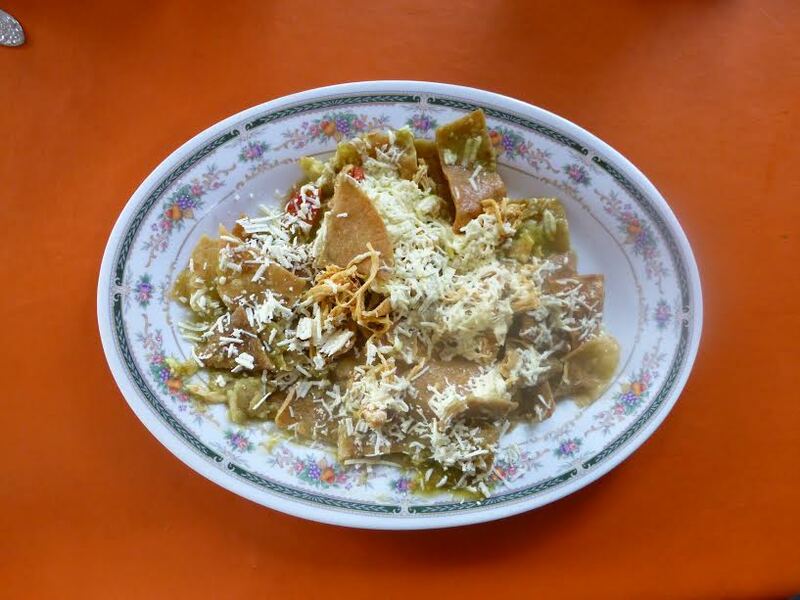 Along with conventional items, the menu sometimes offers beef tongue, goat blood soup on a taco, calves stomach in a delicious sauce and tripe. 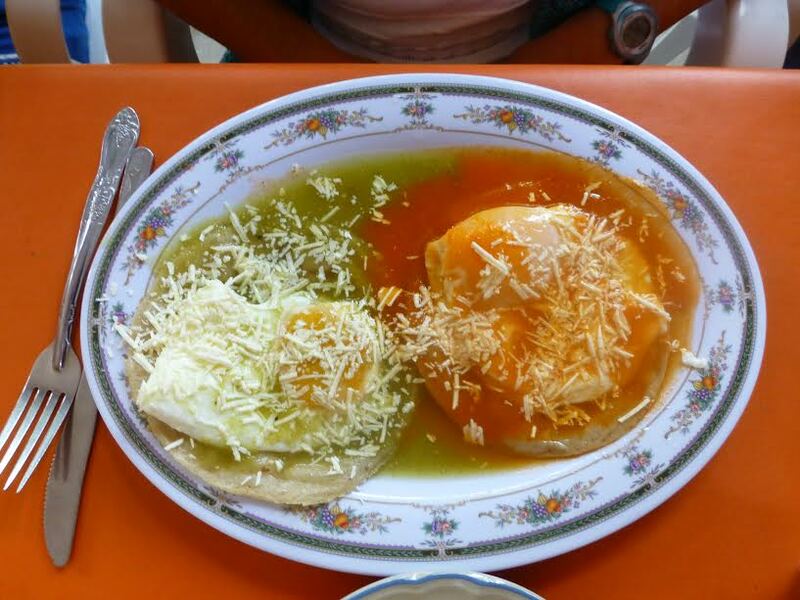 A little harder to find but well worth the trouble is Leo’s Mariscos which is perched on a hill overlooking the city. The ambiance is very primitive, and you are likely to see the odd chicken running around on the floor. Here you can get all the usual types of seafood, but one renown favorite is “percebes” aka goose neck barnacles. You also can savor “cucaracha of the sea” which thankfully is not related to the insect species you might find scurrying across your floor. Even Anthony Bourdain had standards. While you are at Playa Blanca you definitely will want to pick up some artisanal salt. It is intensely flavored large crystals. Families of salineros dry it in salt pans at the back of the lagoon. It is fascinating to visit and see the process, but you can also buy it on the beach road and in the village. Current price is around 20 pesos ($1.60) for a kilo bag. Or you can buy it in small decorative bags of handwoven cloth to take back as gifts for friends. The village of La Chole near the Soledad de Maciel archeological site is the epicenter of tobacco and cigar production in the region. While they may not rival Cohibas, they do have their afficionados. If you visit the village, you can find locals wrapping local tobacco leaves into a cigars ranging from the most rustic pre-Columbian style to relatively sophisticated versions. The central market in downtown Zihuatanejo and the blocks behind it feature an amazing array of foodstuffs from raw sugar cane to hanging beef to fresh seafood and strange local vegetables and fruits.